Protection for you and fellow officers. Protecting the public from danger can necessitate putting yourself at risk. Safety is built on situational awareness, training and the right equipment. 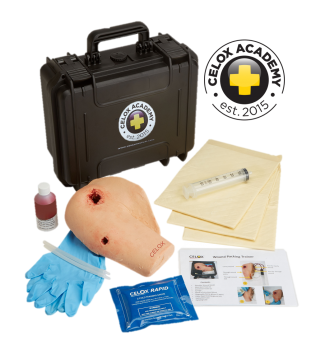 Celox hemostatics are a key part of the medical toolkit, they stop severe bleeding fast, buying time until medical personnel can take over. Celox hemostatics are proven on the batttlefield in Afghanistan in the most catastrophic injuries and have numerous testimonials from usage by US Law Enforcement agencies. 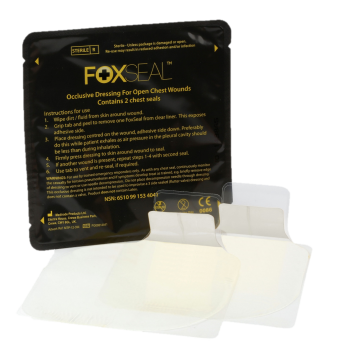 In recent Department of Defense testing, Celox Hemostatic Gauze showed the highest observed survival levels of all tested hemostatics. Celox is also easy to use and safe and produces no heat. It is the common sense choice to protect officers and the public . In tactical or emergency situations, time is even more critical. Celox Rapid Gauze offers the fastest hemostatic gauze available to stop critical bleeding. 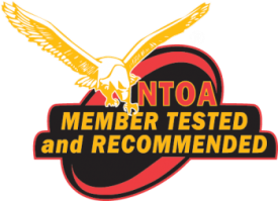 Celox Rapid has been tested and recommended by the members of the National Tactical Officers Association with an overall score of 4.38 out of 5.